Hi everyone! Corri here today! I'm sharing a layout I made with the adorable Under the Sea Collection. 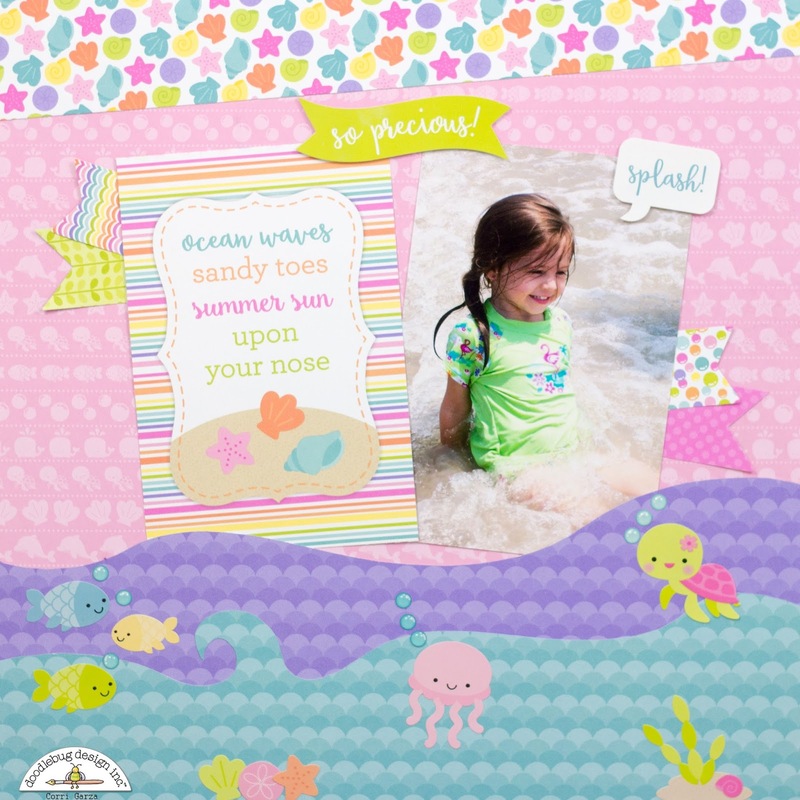 This collection is full of adorable little Sea creatures and the colors are perfect for little girls. I knew right away what photo I wanted to use. The word art on this 4" x 6 card goes perfectly with my photo. I used some of the banners from the Mini Banners craft kit to tuck behind my photo and the card. I added a few stickers from the This and That Sticker Sheet....I applied them with foam tape to add some dimension. I used my Silhouette Cameo to cut the wave border. 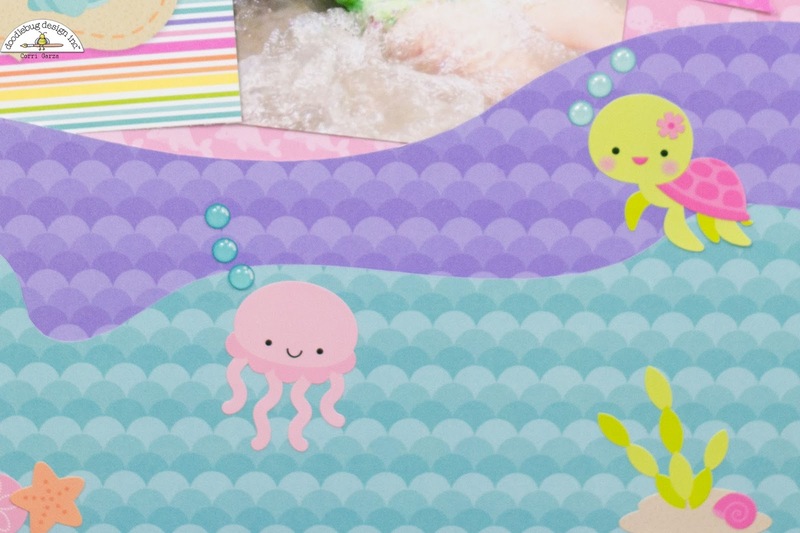 I added stickers from the Icon Sheet and some Bubbles Shape Sprinkles to create a fun little underwater scene. This adorable collection is perfect for scrapping all your beach photos or for a fun mermaid themed birthday party! You can see all the whole collection here. Adorable page Corri! Love the waves and the underwater world. And love that adorable photo! This is just so cute!!! This is just darling! So pretty! Love the waves ... really really cute! !